According to public records, Johnson was originally arrested on December 14. I really don’t know many of the particulars. But the criminal complaint filed in the Las Vegas Township Justice Court on December 17 charged him with “battery with use of a deadly weapon constituting domestic violence (Category B Felony)” and further specified that the weapon was “a sword” used in “cutting” the family member, who was identified–perhaps an uncle–but whose name I’ll omit. Bail was set at $10,000. Two days later, on the morning of December 19, the matter came before Judge Karen P. Bennett-Haron, a 17-year veteran of the bench. According to the official court minutes online, Johnson was still in the hospital in custody and not in the courtroom. So neither the judge nor the prosecutors had an opportunity to size up the defendant in person on the spot. Still, after the public defender’s office representing Johnson made a motion that he be released on his own recognizance–meaning no bail–prosecutors “submitted” it to the court with a request that Johnson be ordered to stay away from the alleged victim. Bennett-Haron ordered Johnson’s release. Presumably, he was let go later in the day, perhaps in the afternoon. Not 36 hours later, Franzello was murdered with his own knife, allegedly at the hand of Johnson. How both men came together behind a supermarket on a dimly lit street in the midnight hours is a story yet to be fully told publicly. In case you wonder about the status of the sword case, Johnson had a one-minute hearing yesterday at the Regional Justice Center in downtown Las Vegas. I attended, sitting in the back of a very crowded, noisy courtroom as dozens of cases were processed assembly-line style. After his case was called, a shacked Johnson stood and said nothing audible to me as Judge William Jensen found him competent to understand the legal process and scheduled a preliminary hearing for February 7. Obviously, Johnson has a much bigger problem to face. Meanwhile, I’ve learned a little more about Franzello, mainly from his sister, Joan Franzello. She lives in New Jersey and reached out to me after finding my earlier post about this case. Joan said Ralph, who never married or had children, moved from New Jersey to Las Vegas more than 20 years ago because their other sibling, a sister, was here. He had some disability income from a long-ago workplace injury. Their sister died some years back. Eventually, Joan said, Ralph became homeless. She occasionally heard from him in telephone calls he made collect, the last time about two years ago. Joan plans to visit Las Vegas soon. She says she will bring Ralph’s remains–now ashes–back to New Jersey for a proper burial far away from the mean streets of Las Vegas. According to the Las Vegas Township Justice Court online docket, at a hearing this morning on the charge of murdering Ralph Franzello, Judge Joseph H. Bonaventure also found Johnson competent to be involved in the legal process. At the request of the state, Bonaventure raised Johnson’s bail from $500,000 to $1 million, meaning the defendant is extremely likely to remain in custody. A preliminary hearing in the case, at which the prosecution would have to show probable cause that the matter should go to trial, was scheduled for March 7. That’s, of course, if there first is no plea bargain in the case. Given Johnson’s voluntary confession and what I imagine is surveillance video putting someone looking like him near the scene of the crime around the time of the crime, a guilty plea with a negotiated punishment strikes me as a distinct possibility. It took almost a month after I wrote about this. 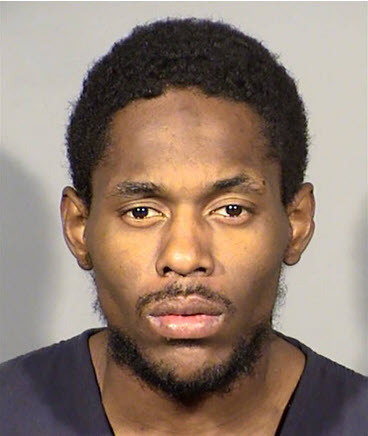 But the Las Vegas Review-Journal with its army of police and court reporters finally caught up today to the fact that Johnson allegedly stabbed to death Franzello just after being released from custody facing a domestic battery charge. However, the paper didn’t mention–as I did after looking at the public record–that Johnson’s domestic battery charge involved use of a sword, that he was released on no bail apparently without appearing in court and that pretty clear mental illness issues were ignored in the process. I also remain outraged by the official governmental policy of not collecting possessions of a homeless person murdered on the street.